VOTED THE #1 POOCH BATHING EXPERIENCE! 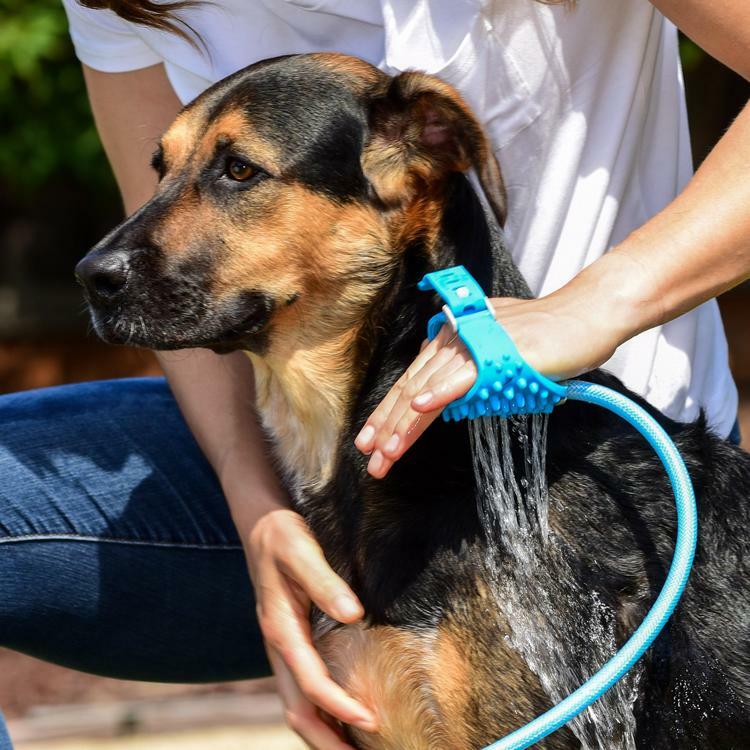 The ultimate pet grooming tool combines bath brush and water sprayer. Professional grade dog shower, unique contoured shape designed to wash dogs of all sizes and types. This handheld bath massager comes with 7.5 feet long hose and 2 hose adapters to fit 0.6 inches standard faucet, allowing access to the bathroom or garden to pick up the water. Slim and flexible sprayer in your hand allows you to control your dog with both hands. Intended for maximum cleaning power and penetration of thick fur, targeted spray for gentle cleaning. Remove your pet's hair effectively and reduce stress during bath time for anxious pets. It's like giving your dog a mini spa experience! CLICK TO ADD TO CART ABOVE NOW!